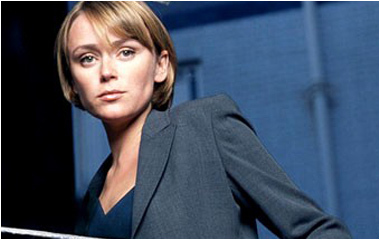 British actress Keeley Hawes has replaced Jonell Elliott as the brand new voice of Lara Croft. The 29-year-old star of British TV drama Spooks and Macbeth will voice the role of Eidos' globe-trotting adventurer in Tomb Raider Legend, now under the aegis of Crystal Dynamics. Original Lara Croft voice-over artists Shelley Blond and Judith Gibbins were replaced by Jonell Elliott in 1999 for the release of Tomb Raider: The Last Revelation. Jonell kept the role her own until 2002 and the release of The Angel Of Darkness, the final Tomb Raider adventure helmed by Core Design. Tomb Raider Legend will see esteemed cyber-heroine Lara Croft pit her wits against an old nemesis as she traverses the globe in search of an ancient artifact. The Eidos title will debut across European territories April 7 and across North America April 11.